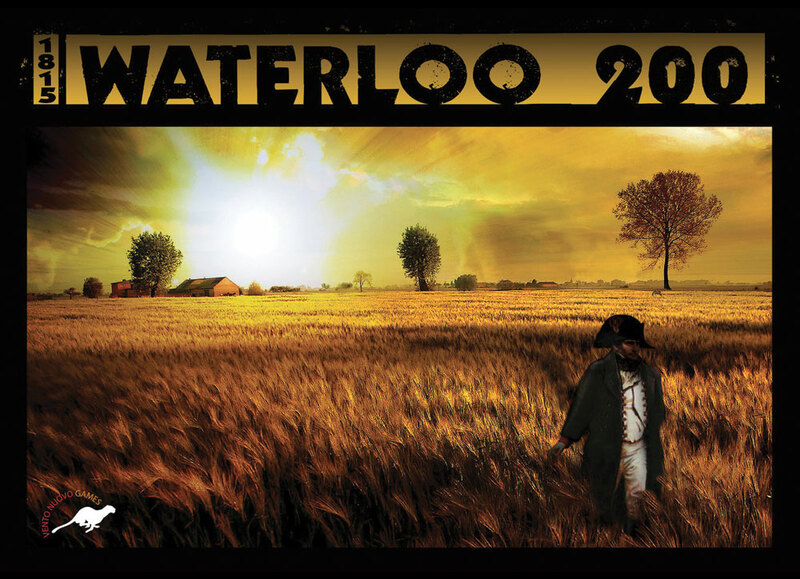 Waterloo 200 is a medium/light war game that presents the most-famous battle in history in a format that challenges both sides and can be finished in about three hours. 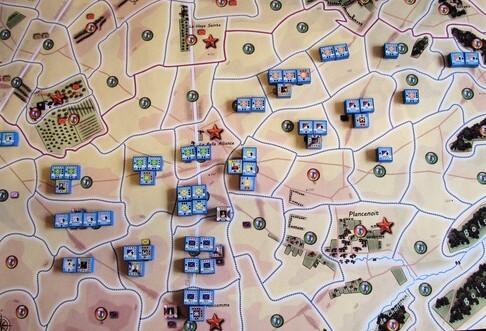 Although based on the historical order of battle and much research, the players can try to change the course of history in the last major European war for 100 years. Can the French knock out two Allied armies and disrupt the Coalition enough to sue for a peaceful restoration of Napoleon on the throne of France? Can the Allies banish “the Ogre” with fewer casualties or a more challenging time schedule than the historical commanders? You decide! In Waterloo 200, one cm is approximately 70 meters. A turn is 2 'hours' of historical time long. A full strength unit block represents a Leader with supporting troops or a Brigade (50 guns, 1000 Cavalrymen, or 3000 infantrymen) depending on the unit type, training, morale and leadership. 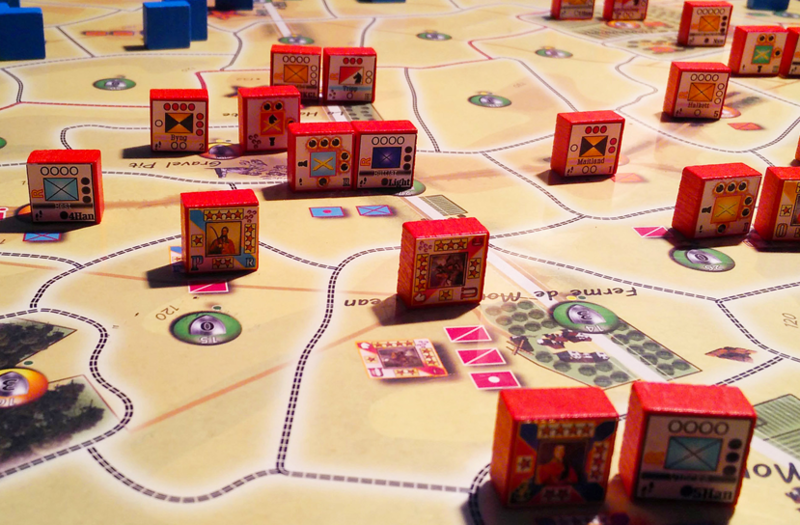 The game is played with "Fog of War" so units are placed upright with the sticker facing the owning player and the enemy player cannot see them. During the game - at a certain points - units are revealed. 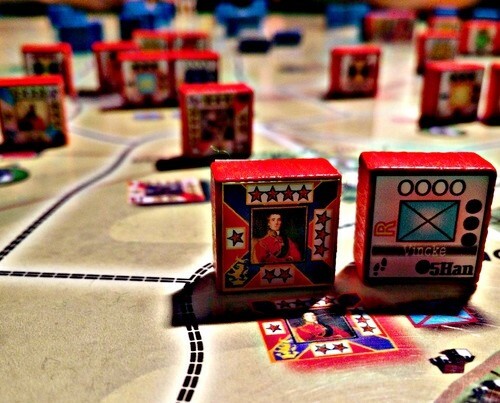 There are three types of units in the game: Leaders, Infantry, and Cavalry all represented as blocks. Each has a sticker reporting the historical name, the Movement Allowance (Footstep or Horseshoes) and the Firepower (Dots or Stars). A unique colour identifies all units belonging to the same Tactical Leader.